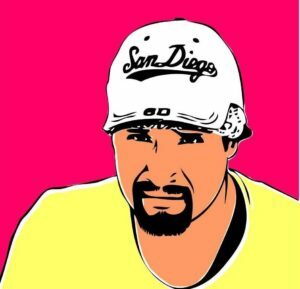 Border enforcement agents beat and tasered Anastasio Hernández Rojas to death as they were deporting him to Mexico. Despite video and bodily evidence (the trauma of the beating was visible all over Anastasio’s body), the United States Department of Justice determined that the facts of the case did not support federal criminal charges. Anastasio Hernández Rojas was born on May 2, 1968 in San Luis Potosi, Mexico to Porfirio Hernández Rojas and Maria de la Luz Rojas Olivo. He was one of nine children (the 3rd oldest). Anastasio lived with his family until he was fifteen, when he migrated without documents to the San Diego, California in search of work. His goal, like that of many other Mexican migrants, was to earn enough money to help support his family back home. 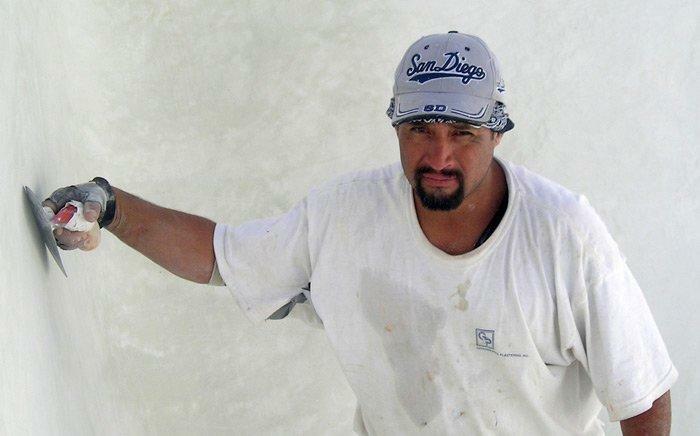 In California, Anastasio worked for many years in the construction industry, eventually becoming a skilled drywaller and plasterer. Right before his death, he had been working in the pool construction business. Anastasio sent much of the money he earned to his parents in Mexico. When he was about 21, Anastasio met his life partner Maria Puga. They had five children together: Yeimi Judith, Daisy Alejandra, Fabian Anastasio, Daniel, and Daniela. The children were all born in San Diego. Undated photograph of Anastasio at work plastering a pool. This photo is widely circulated in the media as a family photo provided courtesy of the Hernandez Rojas family. “Otay Mountain Wilderness.” Photographer and Writer: Jill Marie Holslin. Copyright © 2018 — At the edges: http://www.attheedges.com/. All Rights Reserved. The official story—as told by Customs and Border Enforcement (CBP) and Border Patrol spokespeople and agents, as well as by the San Diego Police Department—paints Anastasio’s behavior and attitude as out of the norm and unruly from the time he was arrested. Anastasio’s odd behavior allegedly continued at the Chula Vista Border Patrol Station. When Anastasio arrived at the station, he was carrying a jug of water. According to Border Patrol Agent Gabriel Ducoing, liquids can’t be brought into the facility because they may be flammables or acids and can thus be used as weapons. Ducoing thus asked Anastasio to dispose of the jug in a trashcan, but he initially refused. When Anastasio finally complied, rather than disposing of the jug, he emptied that water slowly into a trashcan. At this point, Ducoing walked over to Anastasio and pushed the jug out of his hand and into the trash retainer. Ducoing then took Anastasio into a search area where he was asked to stand against a wall to be patted down. During this process, Anastasio was “argumentative, uncooperative,” and would not stay still. The official narrative suggests that Anastasio continued to be problematic as he interacted with other agents during the rest of his stay at the Border Patrol station. His behavior oscillated between calm and agitated. He would be tranquil one moment, but then become argumentative and complain loudly. Specifically, he complained that an agent, Ducoing, had kicked his legs open during a pat down and injured his ankle. Due his ‘disruptive behavior’, Border Patrol Supervisor Ishmael Finn determined that it would be best deport Anastasio immediately, rather than waiting to remove him with other detainees. Anastasio behavior was seen as a potential safety hazard. Border Patrol Agents Ducoing and Philip Krasielwicz were charged with the task of transporting Anastasio to the San Ysidro Port of Entry for removal to Mexico. ‘Most of the detainees brought to the processing area comply with directives and remain relatively quiet. AHR did not’. According to Agents Ducoing and Krasielwicz, the ride to the border was peaceful. Anastasio was calm and even apologetic about how he had behaved at the Border Patrol station. However, Anastasio’s behavior changed once they arrived at the port of entry, an area called Whiskey 2, and the agents began removing his handcuffs. Ducoing says that Anastasio started moving and pushing both agents. He was asked to calm down but he just kept fighting them. He ‘started shaking and flipping out’, according to Krasielwicz. The agents tried to grab Anastasio to gain control of him but were unsuccessful. At this point, two Immigration and Customs Enforcement (ICE) agents who were standing nearby intervened. They attempted to help control Anastasio but to no avail. He was too big and strong for all four men. When it became clear that they could not control him, one of the ICE agents pulled out his collapsible baton and hit Anastasio several times. Eventually, a fifth agent intervened and together they were able to bring him down to the ground. While on the ground, Anastasio continued to struggle, fighting and kicking. Several more agents then came to help and they were able to put Anastasio back in handcuffs. Even with handcuffs on, he kicked, screamed, and would not cease moving. Ducoing notes that Anastasio was also banging his head on the ground. With Anastasio on the ground and in handcuffs, Agent Ducoing made a phone call to Supervisor Finn to relay what had happened. Finn instructed him to take Anastasio back to the Border Patrol station so that charges could be pressed against him. Ducoing then called a caged vehicle unit to transport Anastasio. While they waited for the vehicle, Anastasio continued to struggle and scream, prompting more agents to descend upon the scene. When the vehicle arrived, several agents took hold of Anastasio by his arms and legs and attempted to put him inside. As they were sitting him down into the back of the vehicle, Anastasio arched his back and thrust his head forward, hitting his head hard against a window. Because the officers feared that he would hurt himself, they pulled him back out of the vehicle and laid him down on the ground on his stomach. While on the ground again, Anastasio struggled and flailed. Agents kept telling him to calm down, but he did not comply. At this point, Customs and Border Patrol Agent Jerry Vales approached the scene telling the other agents that he had a taser and to stand clear. Vales then tased Anastasio. After being tased, he stood up and started moving and yelling. Vales told him to calm down and stop resisting. When he did not comply, Vales tasered Anastasio again. He was tasered three or four times total. After the last tase, Anastasio lost consciousness and did not appear to have a pulse. He was subsequently transported to a hospital where he died on May, 31, 2010. Anastasio is, of course, not able to produce his own narrative. But witnesses to the events, including Anastasio’s brother Pedro and even Border Patrol agents themselves, do help to give him voice, telling a different story—one that dismantles the narrative of Anastasio as unruly and violent. When he arrived at the San Ysidro Border Patrol Station, Anastasio was indeed carrying a jug of water. According to Pedro, a Border Patrol agent, Ducoing, ordered Anastasio to thrown the water into a trashcan. Anastasio took the command literally and began to pour the water into the bin, as opposed to discarding the jug itself. The agent became angry and slapped the jug out of his hands. He then pushed Anastasio up against a wall and kicked his ankles apart several times (Pedro notes that Anastasio suffered a bad injury at work and that his right ankle was held in place by a metal screw). Anastasio cried and told the agent that he was hurting him and asked why he was doing that to him. The agent responded by asking Anastasio if he wanted to be beaten. The agent then handcuffed Anastasio and took him into an interview room. There Anastasio told the agent that he had hurt him and complained about the pain and mistreatment. The agent took no action to address Anastasio’s concerns. Border Patrol Policy stipulates that detainees needing medical attention are to be evaluated by qualified personnel. Agents who have been accused of mistreatment are also obligated to report the complaint to their superiors and remove themselves from further interactions with the complainant. After the interview room, the agent led Anastasio to a processing area, where other officers took over. 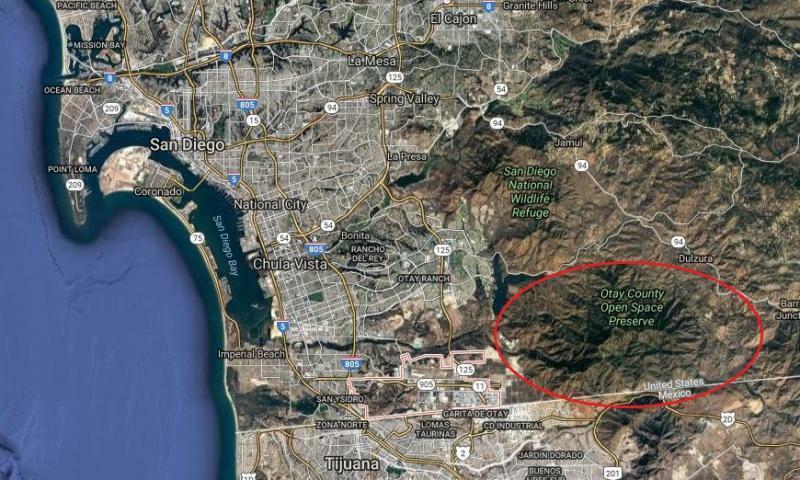 While in this area, Anastasio complained about the pain and about being mistreated. He also requested medical attention. Agent Sandra Cardenas took a quick look at Anastasio’s ankle and then stepped outside the area to ask another agent, Jose Galvan, if an Emergency Medical Technician had been called. Galvan responded that they were waiting for a supervisor to respond. A Border Patrol Supervisor, Ishmael Finn, eventually came to see Anastasio, who reiterated his complaints about mistreatment and request for medical treatment. Instead of addressing Anastasio’s concerns, Finn told his agents to immediately remove him to Mexico. Ducoing, the agent about whom Anastasio complained, was one of the agents assigned to transport him. A. We were taught the process if there’s an allegation, how we should proceed. Q. And what were you taught about the process in which you should proceed? A. We were told that if an individual wants to complain about an agent, that we need to go ahead and stop talking to him, get a supervisor, and that supervisor come over and take a statement of his complaint. Q. So that your understanding was, if there’s an allegation against you of some improper conduct, that you should stop your interaction with the person who has suggested that and bring in your supervisor to take the complaint? At Whiskey 2, the confrontation between border enforcement officers and Anastasio caught the attention of passersby on a pedestrian bridge that overlooked the area. Non-party witnesses say that they saw officers attempt to put Anastasio in the back seat of an SUV, but he prevented them from doing so by bracing his feet on the door of the vehicle. Officers then dragged the handcuffed Anastasio behind the SUV and placed him face down on the ground. Some agents then kneeled on his neck and lower back, while others kicked, punched, and stomped on his head and body. Witnesses also observed when Border Patrol Agent Jerry Vales arrived on the scene. Ashley Young, who was returning to the U.S from Tijuana with her friend Mayra Salas, saw and videotaped part of the tasing (Anastasio Tasing Video). She states that there was little communication between Vales, who had just arrived, and the other officers. He arrived with the taser and almost immediately started screaming ‘Stop resisting. Stop resisting.” But Anastasio was not moving or resisting. When the first tase was applied, Anastasio’s body just convulsed and ‘he screamed out with an agonizing scream’. Ashley then witnessed 3 more applications of the taser. The last tase was applied directly to Anastasio’s chest, without the use of darts. By then, there were at least a dozen agents circling around Anastasio, and perhaps around 25 in the area. After the final tasing, several officers swarmed Anastasio, putting him with his face on the ground and pressing him with their knees on his head and back. Ashley said that she saw a few officers making motions with their legs as if they were kicking Anastasio. She also saw Agent Vales make a swinging motion with his arm toward Anastasio. And Humberto stated that he observed officers punching Anastasio repeatedly in the ribs. Officers eventually pushed Anastasio’s legs toward his back and zip-tied his ankles to his handcuffed hands. At that point, Anastasio became motionless. This video, which was recorded by witness Humberto Navarrete, captures Anastasio’s cries for help. [Anastacio] ‘No. No. No. Ay! No. No! Quitenmelo! Mama! Ay! No!’ (No. No. No. Oh! No. No! Take him off me! Mother! Ay! No! “). [Humberto] ‘He is not resisting guys! Why you guys keep, keep pressing on him’? [Humberto] ‘He is not even resisting’! 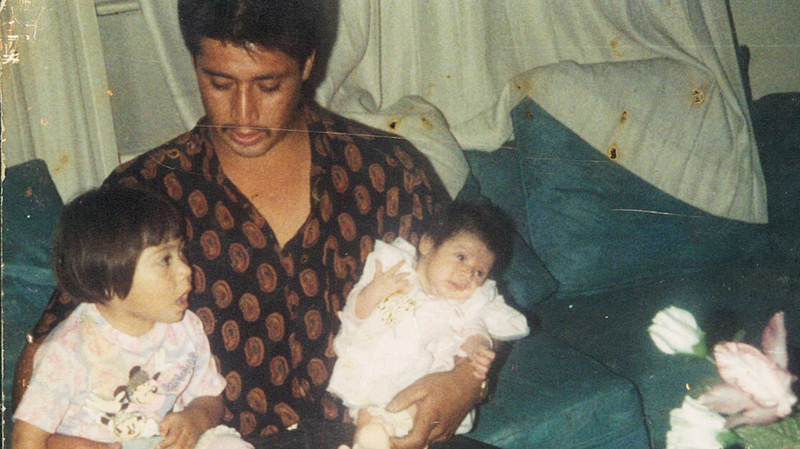 The trauma on Anastasio’s body speaks to the brutal beating he received at the hands of border enforcement agents. 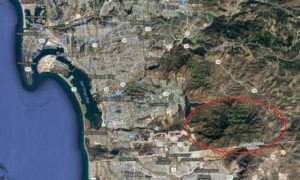 There were two autopsies performed on Anastasio, one by Dr. Glenn Wagner of the San Diego County Office of the Medical Examiner, the other by Dr. Marvin Pietruszka, an independent medical pathologist hired by the family. The autopsies reveal that Anastasio had five broken ribs, several loose teeth, laceration of the liver, and hemorrhage of the diaphragm and proximal esophagus. They also show that he had contusions and abrasions on various parts of his body, including his head; on right side the jaw, hand, wrist, thigh, knee, malar-zygomatic area, upper and lower lips, upper gum line, pelvis, forearm, and anterior tibial; and on the left side the anterior chest, upper abdomen, and inner thigh. The autopsies further show that Anastasio had a baton injury to the abdomen and evidence of at least two taser events. Both autopsies ruled the manner of death a homicide (death at the hands of another) and the cause of death lack of oxygen to the brain due to a heart attack. Dr. Pietruszka believes that “had it not been for the trauma that [Anastasio] was subjected to, which included the head trauma, the bodily trauma and the resulting physiologic effects of that trauma, he would … be alive today’. And Dr. Wagner noted that the combination of the variety of restraints used on Anastasio, the fact that he was prone and tasered, and the number of officers involved all acted as stressors that induced the heart attack, leading to deprivation of oxygen and then brain death. Autopsy conducted by Glenn Wagner. Autopsy conducted by Dr. Marvin Pietruska. The death of Anastasio in clearly related to the way that undocumented immigrants have been constructed as criminals and hyper-policed in American society. Since the 1970s, crime and punishment have become an increasingly central means through which political authorities in the United States seek to govern the conduct of individuals and populations. Jonathan Simon refers to such development as ‘governing through crime’. This way of governing is clearly visible in such measures as quality of life campaigns and zero tolerance policing, harsher penalties and the extensive utilization of imprisonment, three strikes and compulsory minimum sentencing policies, redress in juvenile court and the incarceration of minors, immigrant detention centers, and more extensive parole restrictions. Governing through crime is further visible in the common practice of securitizing private spaces as a way of dealing with crime risks and insecurities. The most notable manifestations of this practice are undoubtedly gated communities. These fortified enclaves are segregated spatial enclosures designed to provide safe, orderly, and secure environments for those who dwell within them. The rationale for governing through crime seems to be twofold. On the one hand, the thinking is that irresponsible individuals must be held accountable for their misdeeds. 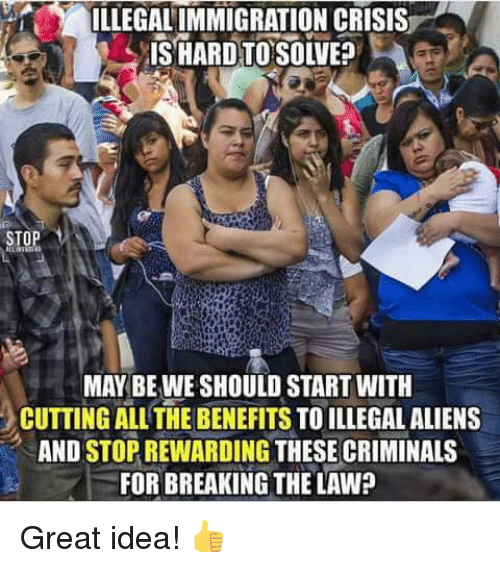 And on the other, it is that responsible citizens must protect themselves and be protected from the mass of anti-citizens who threaten their security and quality of life. This contemporary emphasis on governing through crime has had a significant impact on how undocumented migration is problematized and managed. In fact, undocumented migration has come to be seen largely as a law and order issue in the United States. Since the early 1990s, the United States has witnessed a rather strong wave of anti-immigrant sentiment—a trend that has only intensified in the post-9/11 context. 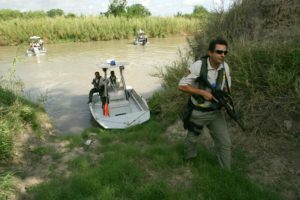 From social scientists, immigration officials, and policy analysts, to immigration reform organizations and the public at large, it has been common for individuals and groups to cast unauthorized migrants—typically imagined as Mexican—as threats to the overall well-being and security of the social body. 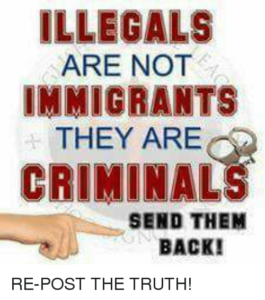 The fundamental problem with the undocumented has been deemed to be their illegality—the ‘fact’ that they do not have a legal right to be in the United States. 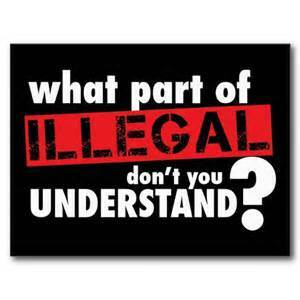 Thus, for some people, to be an ‘illegal’ immigrant is to be inherently a lawbreaker. It is to be necessarily a criminal. In addition to being constructed as lawbreakers, the undocumented have routinely been linked to a host of other problems. For example, they have been associated with such cultural, social, and economic maladies as overpopulation, deteriorating schools, urban crime and decay, energy shortages, and national disunity. Furthermore, they have been accused of displacing American workers, depressing wages, spreading diseases, and burdening public services. All of these problems are seen as compounding the fundamental problem of immigrant criminality. 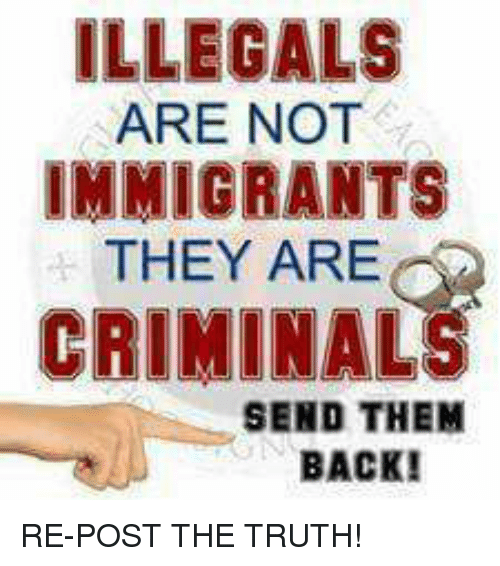 Popular imagery representing undocumented immigrants as criminals. These images are all popular memes circulating in mass culture in the United States. They are sometimes used as bumper stickers or buttons. 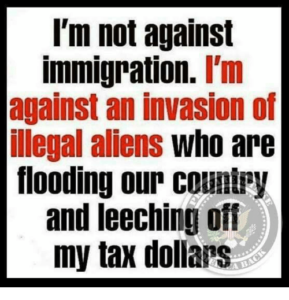 Given that undocumented migrants have largely been constructed as criminal ‘illegal aliens’ who harm the well-being of American citizens and threaten the security of the nation, the measures employed to govern them have been extremely exclusionary and punitive. Put otherwise, undocumented migrants have largely come to be governed through crime. The most notable form that governing immigration through crime has taken in the United States has undoubtedly taken is that of enhanced border policing. Since the early 1990s, the U.S. federal government has undertaken a major boundary control offensive, one that aims to shape the conduct of unauthorized immigrants in such a way as to deter them from entering the United States. Federal authorities have essentially determined that one of the best ways to deal with the ‘problem’ of undocumented immigration is through expanding border policing operations. The expansion of the border policing as a way of governing unauthorized immigration has been most conspicuous along the U.S.-Mexico border. 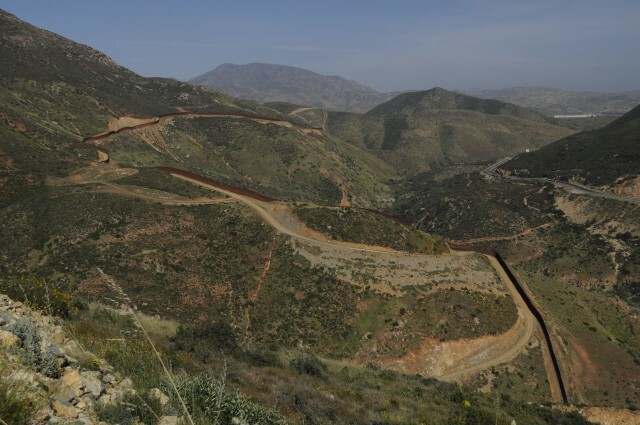 It is this border that has historically been seen as the primary source of the undocumented immigrant ‘problem’. This expansion actually dates back to the late 1970s. But it really burgeoned in the early 1990s. 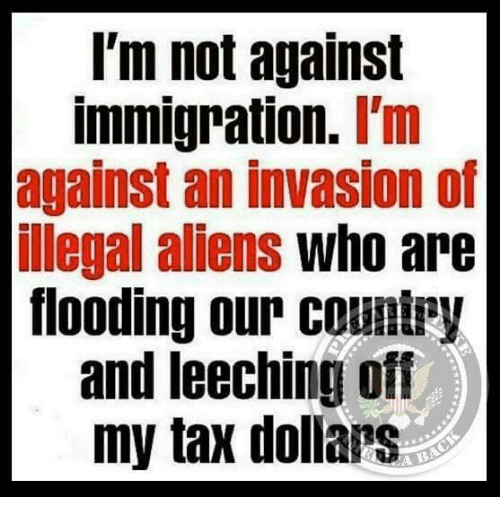 That’s when the Immigration and Naturalization Service (INS) put into effect a broad plan to gain control of the southwest border and reduce illicit immigration. This comprehensive border control scheme was based on a strategy of ‘prevention through deterrence’. The objective was to increase fencing, lighting, personnel, and surveillance equipment along the main gates of illegal entry—such as San Diego, California and El Paso, Texas—in order to raise the probability of apprehension to such a high level that unauthorized migrants would be deterred from crossing the border. Now, in the post-9/11 context, the policing of the border as a way of managing unauthorized migration has only accelerated as the fight against immigrant illegality has become conflated with the ‘war on terror’. A primary solution to the undocumented immigration problem, then, has been to militarize the border and turn the United States into a fortified enclave of sorts. It has been to cast a wide net of control and surveillance over the border in order to discourage illegal incursions and thus keep troublesome individuals out of the body politic. As with the government of crime more generally, the rationale for managing undocumented migrants through crime is that the public must be protected from the would-be criminals who threaten their security and contentment. U.S. Border Patrol agent investigates potential landing area for undocumented migrants along the Rio Grande River in Texas. The U.S. border fence/wall near El Paso, Texas. A pair of Customs and Border Protection unmanned aircraft in Sierra Vista, Arizona. 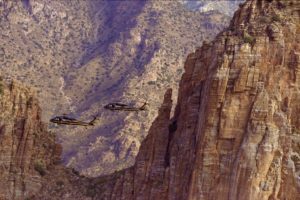 Two Customs and Border Protection unit UH-60 Black Hawk helicopters patrol the southwest border region. These four images are from the photo gallery of the U.S. Customs and Border Protection (CBP) website (https://www.cbp.gov/newsroom/photo-gallery/). They are meant to highlight the work that CBP does to “secure” the nation from foreign threats. The militarization of the border has undoubtedly led to excessive uses of force. Border policing forces basically view unauthorized immigrants as criminal enemies and treat them as such. This is clearly visible in the Border Patrol’s treatment of immigrants who are apprehended crossing the border, held in short-term custody, and deported. 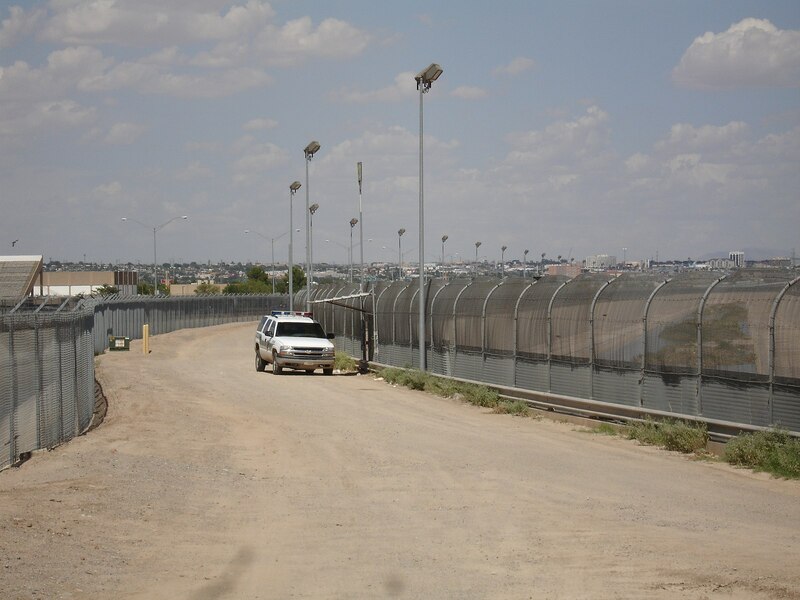 In various reports and other documents, NGO and immigrant rights groups have described how abuse, dehumanization, and neglect is part of the institutional culture of the Border Patrol. In a report titled ‘A Culture of Cruelty: Abuse and Impunity in Short-term U.S. Border Patrol Custody’ (2011), the humanitarian NGO No More Deaths vividly documents the abuse that immigrants suffer. From Fall 2008 and Spring 2011, the group conducted 4,130 interviews with 12,895 individuals who had been in the custody of the Border Patrol. They found that immigrants were routinely denied food, water, and medical treatment. They were also often placed in overcrowded and exceedingly cold holding cells. Furthermore, children, women, and other vulnerable individuals were often deported to Mexico at night. Finally, migrants were subjected to pervasive verbal abuse (in particular derogatory sexual and racial epithets), as well as to physical abuse (agents striking and/or kicking people in custody, use of chokeholds, and so forth). Other groups have similarly documented such abuse. In 2013, the Immigration Policy Center produced an important report titled ‘Bordering on Criminal: The Routine Abuse of Migrants in the Removal System’. Drawing on the Migrant Border Crossing Study, which is a study of 1,110 individuals repatriated to Mexico between 2009 and 2012, the report focuses on the mistreatment of undocumented migrants while in custody. They found that 23% of migrants suffered verbal abuse (racist and nationalistic remarks), while 11% were subjected to some sort of physical mistreatment (mainly being kicked, punched, pushed, pulled, and or/dragged, but 3% reported being sexually assaulted). Putting these reports in the context of other studies, it appears that the mistreatment of migrants in Border Patrol Custody is a systematic practice and not a sporadic, random occurrence. Report from the Immigration Policy Center, the policy arm of the American Immigration Council. Report from the NGO No More Deaths. National Immigration Law Center legal challenge to conditions in short-term detention. The systematic abuses perpetrated by U.S. Customs and Border Protection (CBP) have also involved deadly and lethal force. The American Civil Liberties Union of New Mexico estimates that 55 people, a number of them under questionable circumstances, were killed in encounters with CBP between January 2010 and April 2017. Fifty of these deaths involved use of force; five were health related; nineteen involved US citizens; and six involved victims standing in Mexico. Notably, at least 11 deaths were the result of border enforcement agents responding with deadly force to migrants who allegedly threw rocks at them. Before around 2012, the Border Patrol essentially treated rock throwing (or rockings) as lethal force and condoned officers responding with lethal force. According to James Tomsheck, former Assistant Commissioner of the CBP Office of Internal Affairs, the Chiefs of the Border Patrol during his 8-year tenure at CBP consistently supported the use of deadly force against rock throwers. He stated that the ‘mantra from Border Patrol management was that rocking is lethal force’. Importantly, the treatment of rocking as lethal force has been called into question. In a review commissioned by CBP of use of force cases, the Police Executive Research Forum (PERF), a nonprofit research organization, noted that ‘Too many cases do not appear to meet the test of objective reasonableness with regard to the use of deadly force’. In some cases, it appears that frustration was a motivating factor in the shooting of rock throwers. PERF’s main recommendation was that officers/agents be barred from using deadly force against people throwing objects not capable of causing serious harm. They further recommended that agents be trained to de-escalate rocking encounters with migrants by, for example, moving out of range or taking cover. The Border Patrol appears to have changed its tactics when dealing with rock throwers. However, while rocking fatalities basically ceased after 2012, other use of force deaths have continued. •Juan Mendez Jr.— Age 18; Encounter on October 5, 2010 in Texas. An agent shot Juan twice in the back following a brief struggle. He was stopped by agents for driving with a ‘suspicious load’. A group of suspect undocumented immigrants allegedly threw rocks at Border Patrol agents at an international bridge. An agent responded by firing his weapon, hitting Sergio who was standing on Mexican soil. •Ramses Barron Torres—Age 17; Encounter on January 5, 2011 in Nogales, Arizona. Border Patrol agents shot and killed Ramses for throwing rocks. Witnesses refuted the claim the he threw rocks. Officers beat Roberto as he tried to re-enter the United States. He died while in detention a few months later due to medical complications. •Cruz Marcelino Velazquez Acevedo—Age 16; Encounter on November 13, 2013 in San Ysidro, California. Cruz was stopped by CBP officers while crossing through a port of entry and sent to secondary inspection. While there, officers asked him about two bottles of liquid he was transporting. Cruz claimed that they were filled with apple juice, but the officers suspected drugs. They coerced Cruz to take a sip of the liquid to prove that it was simply juice. Within an hour, he started suffering from acute methamphetamine intoxication and later died. •Unknown—Encounter on June 9, 2016 in Yuma, Arizona. Border Patrol agents encountered a male subject near the river in Laredo, Texas. The subject allegedly became combative and struggled with the agents. He collapsed while being escorted to a vehicle and was later pronounced dead at a local hospital. Anatasio’s killing by border enforcement agents has had a tremendous impact on the social, economic, and emotional well-being of his family. Maria Puga notes that Anastasio was a kind and loving partner and father. He would play with his children all the time, taking them to the beach, park, and movies. His death has devastated the family, particular the two younger kids, the twins Daniel and Daniela. Daniel feels lonely, gets sad, and cries. He just wants his father back. He had to see a therapist to deal with Anastasio’s death. Like Daniel, Daniela cries a lot. She is also always upset and does not socialize at school. After Anastasio’s death, she spent a lot of time looking at pictures of him. Initially, Maria did not tell the younger children how Anatasio had died. She just said that he was sick and had passed away. But the children saw a news story about Anastasio on TV. She then told him that their father had been killed by border enforcement agents. Their reaction was to ask why they had killed him. Anastasio’s death has also impacted the other children. Fabian, the older boy, would say that he did not want to live and spent much time laying down and being angry. He ended up dropping out of school when he was 16. Daisy would lock herself up in a room and cry. And Yeimi talks about how everyone in the family is angry about what happened to their father. Interview with Anastasio’s daughter Yeimi Hernandez. Undated photo of Anastasio with two of his children. Widely circulating photo. Typically credited as being provided by the Hernandez Rojas family. The lack of justice in Anastasio’s case is by no means unique. There is clear lack of accountability when it comes to deadly use of force by border enforcement agents. Indeed, CBP officers and the Border Patrol agents basically operate with impunity. In 2013, the Police Executive Research Forum (PERF) released a CBP commissioned report that reviewed the use of force by CBP agents and officers ( PERF Report). Focusing on 67 cases that occurred between January 2010 and October 2012, PERF found that in many instances deadly use of force was not justified. Despite these findings, CBP failed to discipline or take any legal action against the agents involved in questionable incidents. In one rare case, the U.S. Department of Justice (as opposed to CBP) charged a Border Patrol agent, Lonnie Swartz, of shooting and killing an unarmed Mexican teenager, Jose Antonio Elena Rodriguez. Swartz shot the teenager 10 times, 8 in the back and 2 in the head. The agent claimed that he was simply defending himself and other agents from rocks being thrown by Jose Antonio and others. After a trial, jurors found Swartz not guilty of second-degree murder (Swartz Found Not Guilty). Poster of Jose Antonio Elena Rodriguez demanding justice. Widely circulating poster of Jose Antonio Elena Rodriguez. It is not clear who created it. Protest in Tucson, Arizona in response to Lonnie Swartz’s acquittal. While criminal charges were never filed against the agents who killed Anastasio, the family has not given up hope of gaining a measure of justice. In March 2011, they filed a wrongful death lawsuit in civil court alleging that Anastasio was deprived of his constitutional rights. The case lingered in the court system for 6 years. Ultimately, the family accepted an offer from the US government to pay $1 million to Anastasio’s children. Five years later, in March 2016, Anastasio’s family (with the aid of the International Human Rights Law Clinic at the University of California, Berkeley and Alliance San Diego) also filed a petition against the United States before the Inter-American Commission on Human Rights (Anastasio Petition). The commission’s principal function is to promote and defend human rights in the Americas. The petition claims that Anastasio was tortured and arbitrarily deprived of his life and asks the Commission to investigate the United States for human rights violations. The Commission took up the case and is currently conducting an investigation. Poster of event to discuss the killing of Anastasio and the case before the Inter-American Commission on Human Rights. The event was organized by the Berkeley Law. It featured Anastasio’s partner Maria Puga, as well as speakers from the Berkeley International Human Rights Law Clinic and Alliance San Diego, the groups that filed the petition before the Inter-American Commission on Human Rights. This case study was authored by Jonathan Xavier Inda of the United States hub of the Deathscapes project. Research assistance was provided by Beatriz Maldonado. To cite this research: Inda, Jonathan Xavier. ‘Trauma on the Body: the border killing of Anastasio Hernández Rojas’. Deathscapes: Mapping Race and Violence in Settler States, 2018, https://www.deathscapes.org/case-studies/trauma-on-the-body/.